SiriusXM today announced its extensive holiday music lineup featuring eight commercial-free channels celebrating the festive season, two to broadcast starting Wednesday, November 1. 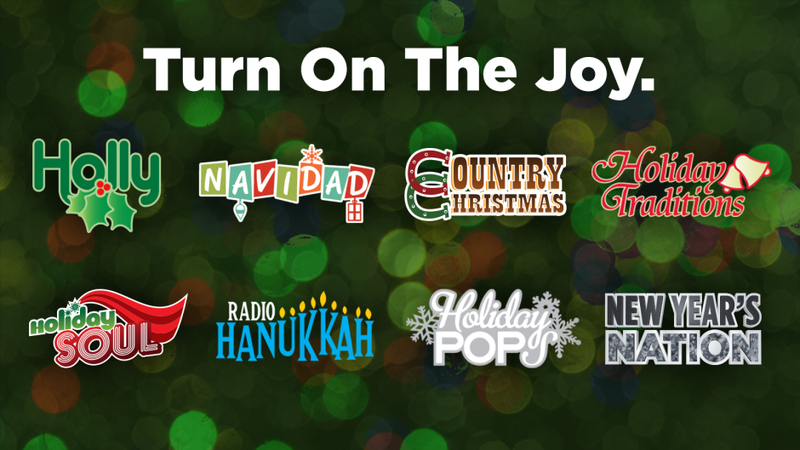 SiriusXM's commercial-free holiday music channels will be available on multiple satellite radio channels, and via the SiriusXM App for smartphones and other connected devices and online at siriusxm.com. will feature traditional holiday music from the '40s through the '60s by artists such as Frank Sinatra, Andy Williams, Ray Conniff, Bing Crosby and Nat "King" Cole. will feature classical Christmas carols and other holiday favorites by the greatest classical musicians of all-time, including the Mormon Tabernacle Choir, Boston Pops, Luciano Pavarotti, The New York Philharmonic, King's College Choir and Thomas Hampson. will feature classic soul and Motown holiday music from the '60s and '70s as well as R&B from the '80s and '90s including Whitney Houston, Aretha Franklin, Michael Jackson, Luther Vandross, Smokey Robinson & The Miracles, Dionne Warwick, The Four Tops, The Supremes, The O'Jays, James Brown, The Temptations, Lou Rawls and Toni Braxton. is the ultimate soundtrack to New Year's Eve parties around the country and will feature the biggest, upbeat party hits from genres across SiriusXM's music platform.